Children are a blessing. We bring them into this world and they seem to grow up overnight. In between all of the sleepless nights when they are small, fighting with their siblings, and making our hair turn grey, we try to capture every moment in photographs or cute drawings and presents they give us for different occasions throughout the year. Needless to say, they do not stay little for a very long time, so it is important to keep items on hand to remember them when they were little. Those things will be the things we cherish most when they are grown and have children of their own. Photographs can be found throughout our home and there is always one photo that is perfect, the one where they are all together and happy. As we all know photographs can become torn or misplaced, but there is something you can do to preserve that favoured photograph for many generations. 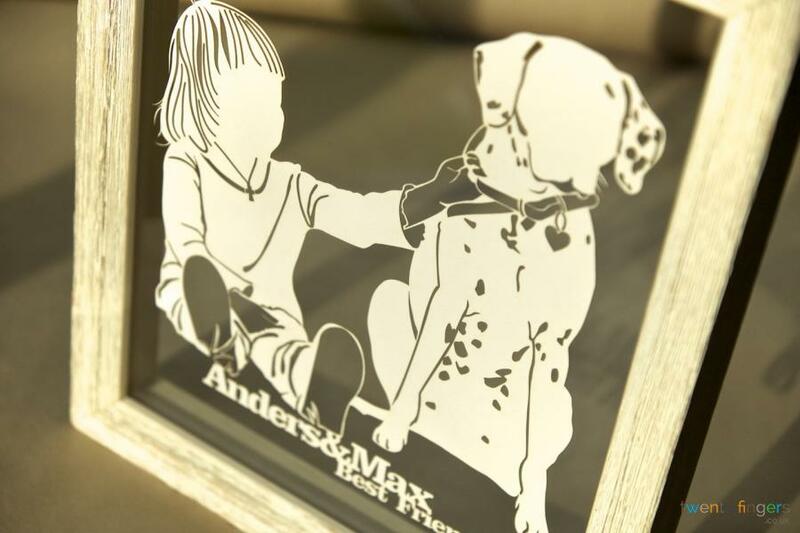 The Children Photo Papercut can ensure that the photo you love of your children will be a constant artful reminder of that special time. Gift for Holidays – Gifts can be hard to buy for some people. There are those that seem to have everything and what they do not have they can usually go and purchase for themselves. 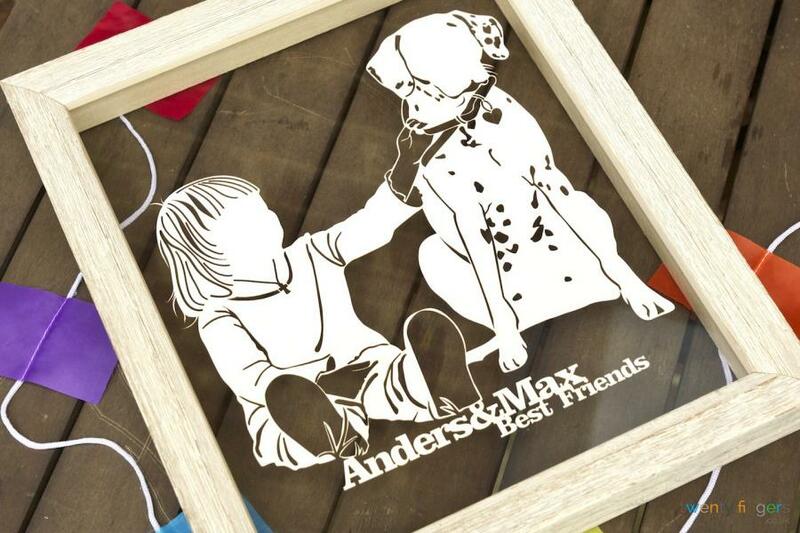 The Children Photo Papercut fits the bill for a perfect memorable present. It is one that is guaranteed to be hung on the wall and admired by the recipient for years to come. Graduation – There comes a time in everyone’s lives where they are finished with their high school career and are on to college to discover new things. While discovering new things is great, remembering the old is even better. 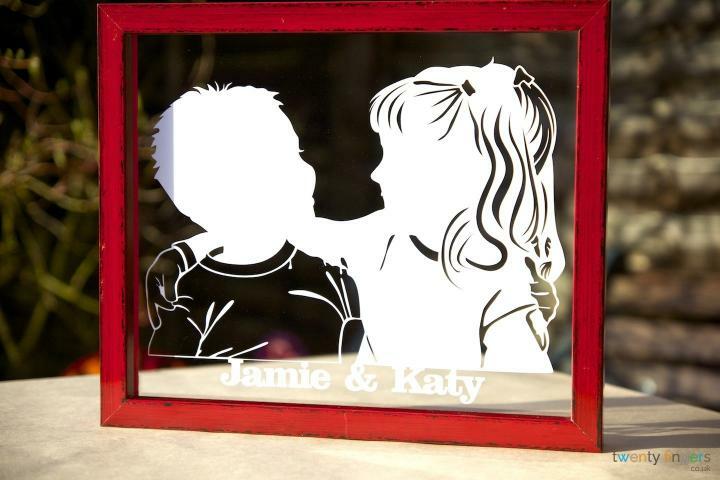 A Children Photo Papercut will remind them of simpler times with their siblings. Unique – Most gifts do not have the honour of being considered unique. Gifts can be purchased at any given store and forgotten within a few months. 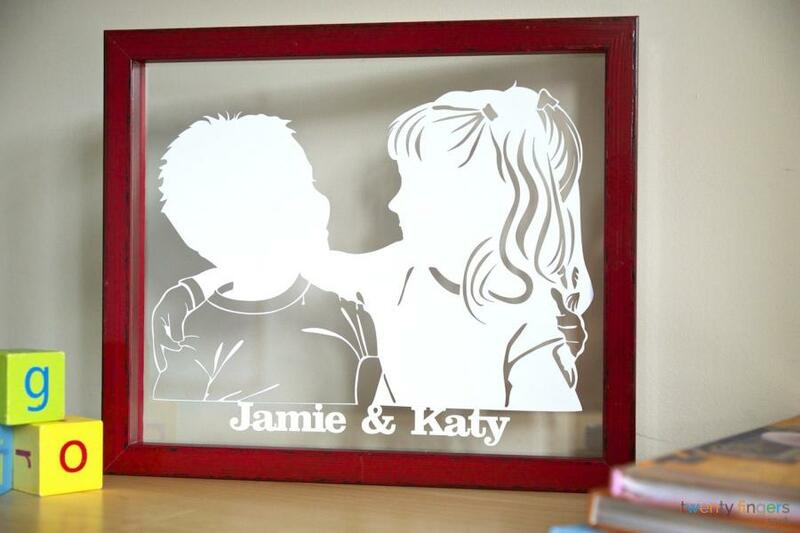 Your children photo papercut will not soon be forgotten for the fact that no two made are ever exactly alike. All we need is your photo. You can either upload it when making your order or email it to us separately after the order has been placed. 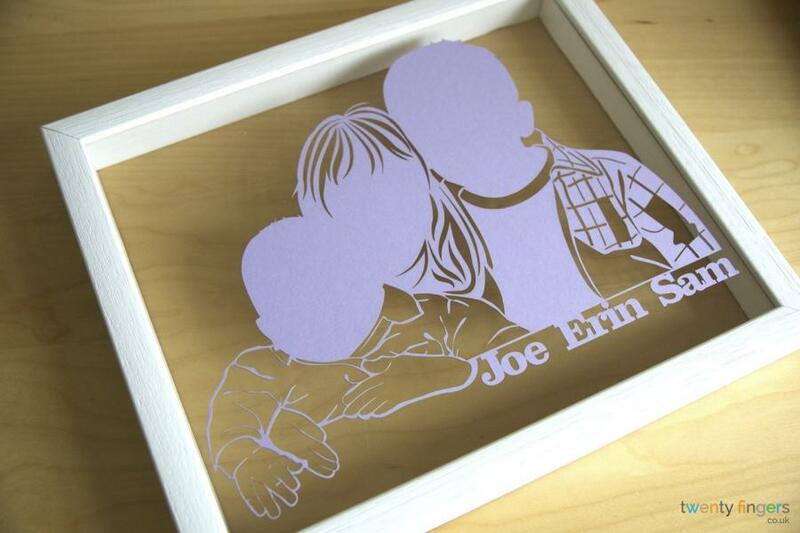 Children photo papercut can be ordered either framed or unframed. Unframed paperucts are cut from a single sheet of 21 x 30cm (A4) or 30 x 42cm (A3) card. 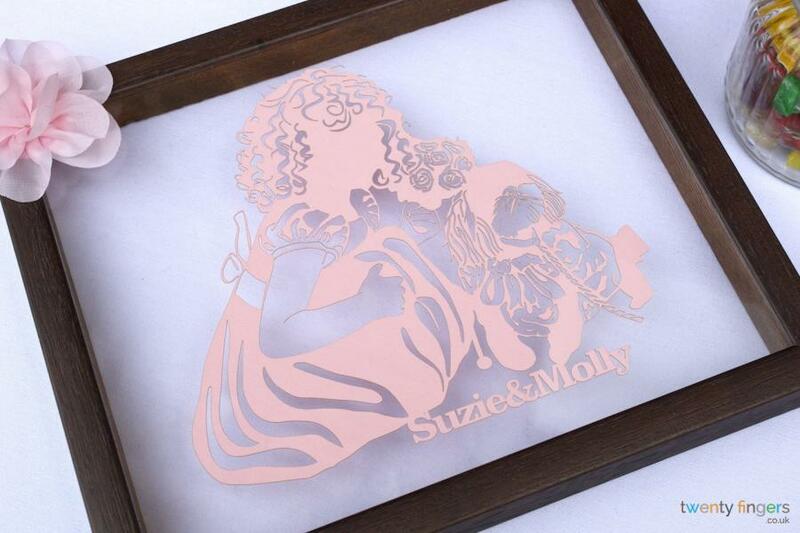 Each papercut is unique and designed especially for you. 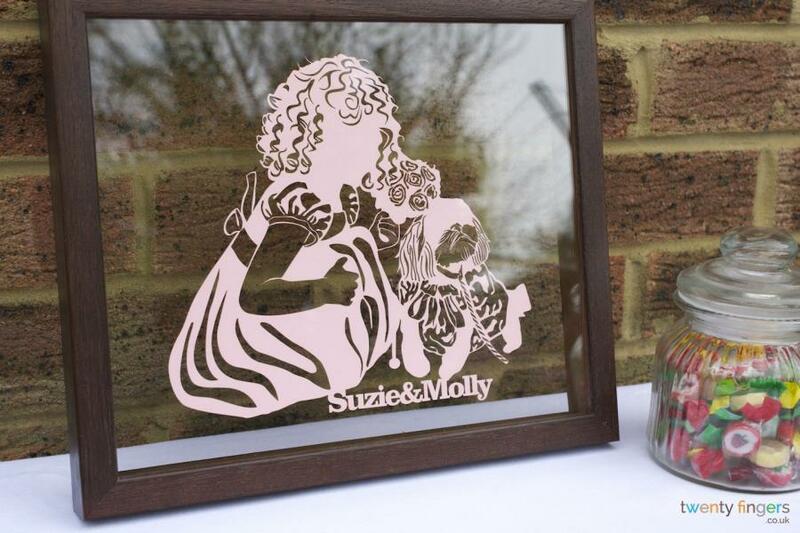 If you choose to have your papercut framed in one of our gorgeous hand made ‘“floating frames” it will be mounted between two sheets of glass and framed using the frame of your choice (available in white, black, walnut effect, glossy red, glossy black, ivory and real unfinished oak. Frame inner (visible) size is 10" x 12" and 12" x 16". These frames are suitable for wall hanging or as freestanding artwork. By default all frames come with a standard glass but we also offer a TrueColour ™ glass option which eliminates 99% of sun glare and complements the “Floating” effect very well. I had a photo of my hubby's late father which I wanted silhouetted with a lovely saying. Unfortunately, the bicycle in the picture was partly cut. I asked Lana if the silhouette could be done with the bicycle competed. She was brilliant! Said it was no problem at all. She sent me the final proof and I changed my mind on the font of the writing. Once again, Lana said it wasn't a problem to change. The finished product was so beautiful!! Come Christmas Day, hubby was completely gobsmacked when I gave him his present. It's definitely one of the best presents I gave him. I would definitely recommend Twenty Fingers. Their service was friendly, helpful and professional.